Methadone side effects are usually minimal if the methadone is taken as prescribed and the patient uses common sense. All medications have some side effects. Patients should not have to worry about having problems with methadone side effects in general. For most patients, the benefits of taking methadone far outweigh the risks of the medication and treatment. Methadone will stop cravings for other narcotics. It will allow a person to have steady employment and be able to take care of their family. Methadone maintenance treatment reduces crime, legal problems, and transmission of blood borne diseases. The major one of the methadone side effects is the risk of overdose and death. As long as the patient is not drinking alcohol, taking sedative medications, and has all their legal and illegal drugs reviewed by their doctor, this should not happen. Overdose from methadone usually happens either intentionally (suicide) or when injected. When methadone is increased slowly under supervision, this risk is very small. Since methadone is an opioid, it is addictive. Suddenly stopping methadone suddenly with cause opioid withdrawals. Methadone can be abused like all narcotic drug. The side effects below are described for individual properly taking the medication under medical supervision. 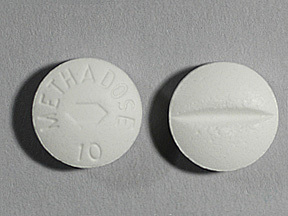 Methadone is a very safe and effective medication used in the treatment of opioid addiction. When taken as prescribed, it us safe and a person should be able to function well at school or work. Methadone is most dangerous when taken in doses higher than prescribed. Intravenous use of methadone increases the risk of respiratory depression (stopping breathing). Allergic reactions need to be addressed immediately. The major complaints from individuals from patient survey appear to be weight gain, constipation, and sexual dysfunction. If you are having trouble with methadone side effects, consider talking with your doctor reducing the dose of methadone, looking for methadone interactions with other medications you are taking, or using a similar medication like Suboxone. This entry was posted in Methadone Information by Admin. Bookmark the permalink.